After many betas and a GM, Apple has officially released the new iOS 5 for the iPhone, iPod Touch and iPad. 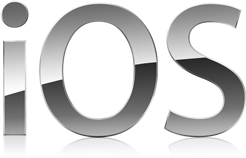 The latest iOS 5 boasts over 200 new features over iOS 4. Now, it will be possible to activate the device right out of the box without connecting it to the computer. It will also be possible to get updates in the same manner, over the air.